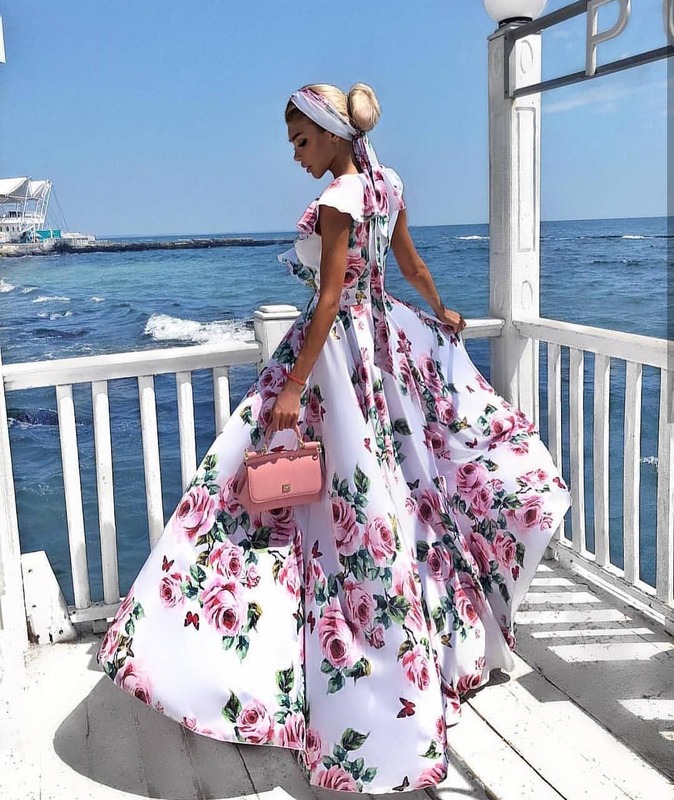 Check out this amazing two-piece maxi dress in red color. 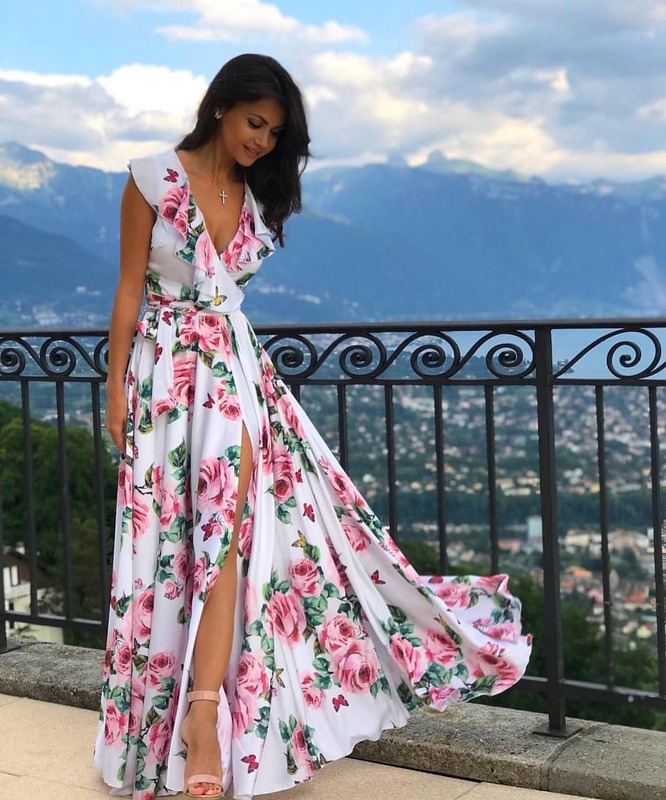 In love with its feminine design and cut-outs. Complete it with gold strappy gladiator heeled sandals. Yes, you are free to wear pastel yellow maxi dress this Summer. Check out this beautiful design with an airy maxi skirt. 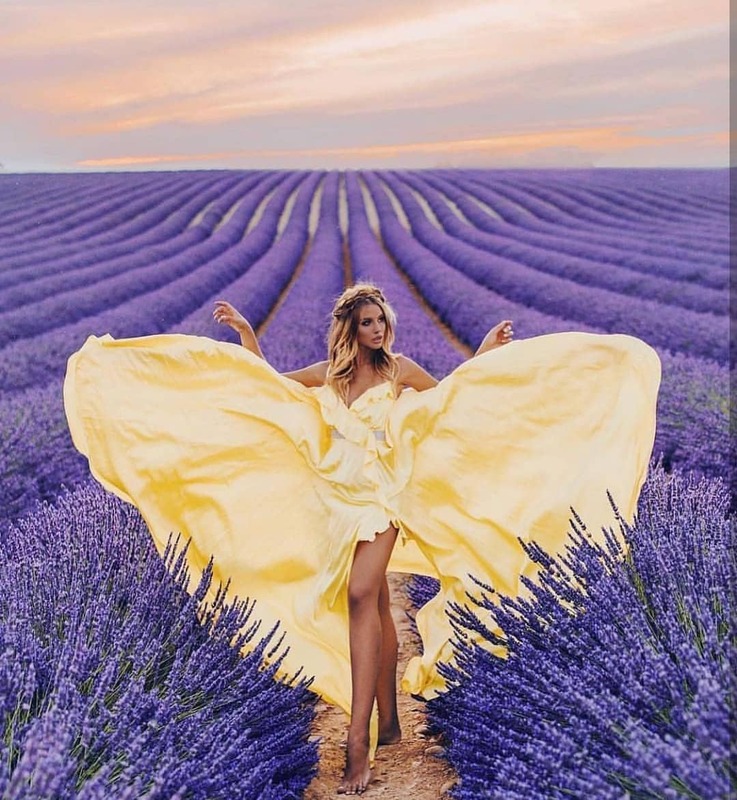 Love the overall set of this image, where a young lady is wearing a yellow dress in a field of purple flowers. I am amazed by this gorgeous tulle ruffle maxi dress in pastel peach. It will be a perfect design for your Summer special parties. I definitely recommend giving it a try. Just look at this semi-sheer style, it ideally matched the clear handbag. Complete the look by adding gold metallic pumps. Check out this stunning red maxi gown in lace. It looks perfect, thanks to lace detailing and high slits. I do love the way it’s completed with red-tasseled earrings. Looking for a way to underline your sophistication and femininity? Go for this amazing beige strapless ball gown with a side slit. It’s an absolute must-have for women who want to improve their style. Add a golden belt and pink pumps to complete this look. Here we see a wonderful maxi red dress with spaghetti straps and a high slit. A perfect style for young ladies who want to make a wow impression on the streets and during their trips.